The theoretical debate concerning what constitutes an ‘encyclopedia’ in the Byzantine context appears to be not only underdeveloped, but also carried out in a vacuum with respect to the Latin medieval counterpart (and vice-versa). Yet questions about the Latin medieval concept of encyclopedia, such as those asked by Meier, certainly also apply to Byzantium: “Die Probleme der Gattungsbestimmung beginnen bereits beim Namen. Da das Mittelalter den Begriff Enzyklopädie nicht gekannt hat, bleibt zu fragen, ob und in welcher Form die Sache existiert hat und legitim so benannt werden kann”. 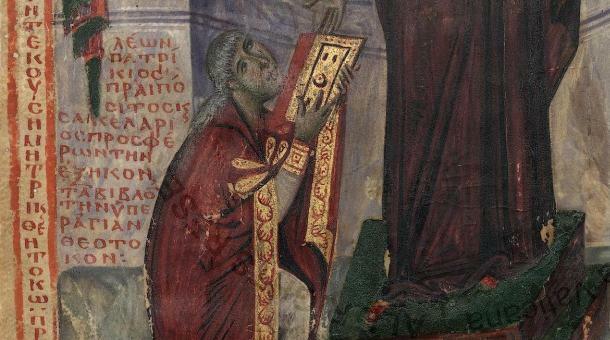 The occasion of the Leuven conference has offered Byzantinists the opportunity of asking these questions not just in a theoretical manner, but through a wealth of examples across the centuries, and I am grateful to the organizers for having asked me to reflect upon my material from the perspective of ‘encyclopedism’. To continue quoting Meier’s work, when he goes on to point out a distinction between ‘geistliche’ and ‘weltliche’ encyclopedias, he remarks on the large number of illustrated manuscripts purporting to offer an understanding of the world and instruction concerning it through the combination of words with images. Encyclopedia is, in Meier’s re-making of the medieval metaphor of the world as book, the book of the world.